Planning to sell your home? Making a few upgrades now can attract the right buyer – and get you the best price. 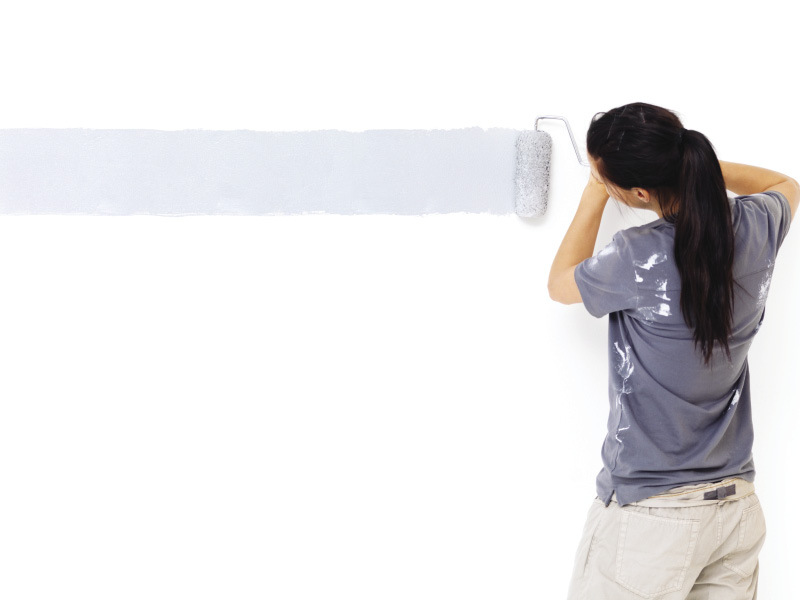 “In today’s market, it’s not the smell of cookies baking but the smell of fresh paint that’s going to appeal to homebuyers,” according to Mike McLane, associate broker with Prudential Jack White Vista Real Estate. But you don’t have to spend big to make a big impact. Here are some ideas for home improvements that will wow buyers but won’t break the bank. A home inspection will give you a list of what McLane calls “have-to-dos” – repairs you might have missed but that buyers will certainly notice. An inspection checklist might include cracked windows, dripping pipes or rusty gutters. • Can’t afford to replace all the kitchen cabinets? Instead, install new, modern-looking hardware on existing cabinets and drawers. And if your cabinetry is scratched or looks dated, a fresh paint job will do wonders. • “New appliances can make an older kitchen look updated very quickly,” advises Goade. Plus buyers won’t be turned off by the idea of having to buy all-new appliances themselves. • Put a 4- or 6-inch backsplash in the kitchen using recycled glass or tiles to give the space more style. • Replace light switch and electrical plate covers with new, matching covers throughout the house. • Brass and gold doorknobs and fixtures are passé, so swap them out for brushed nickel or another material that complements your home’s style. “Curb appeal is crucial, so you need to start outside,” advises Stacy Goade of Alaska Premier Home Staging. In fact, one of the most effective and money-saving improvements you can make is replacing your front door. “It’s the only upgrade where you get back nearly every dollar you spend,” says McLane. New paint or stain on porches, walkways and stairs will freshen the façade, while a new light fixture over the front door will be inviting to buyers who view your house, particularly as the days shorten and grow darker. Replacing the garage door can increase curb appeal, too – and if you upgrade to an energy-efficient door, owner-occupiers can qualify for reimbursement through the Alaska Housing Finance Corporation’s energy rebate program. “Paint is the most practical but dramatic change you can make to a home, whether you do it yourself or get a contractor,” says Kathy McArthur of Et Cetera Staging. Next comes the floor: “If there are different colored carpets in every room, the home can look fragmented.” No need to replace all the carpet in the house, though. For bedrooms, try finding remnants that match the color of the main carpet. Or consider switching to laminate. Goade recently helped a budget-conscious seller find a cost-effective solution to replace her condo’s stretched-out carpet and old tiles: “For under $600, we got lock-in laminate to replace all the flooring. It looks great, and it will really help make the sale.” Even if you hire someone to put in new flooring, ripping out old carpets yourself will help you save. Making improvements that will sell your house doesn’t always mean adding something new, says Goade: “Adding a new room is pointless, but you can make your house feel larger by capitalizing on unused spaces.” Put shelving and brighter lighting in a garage or basement to create a workspace, or convert an extra room into a nursery or home office. “The amount you spend upgrading depends on you,” says Goade. “But regardless of budget, you still take the same $10,000 – $20,000 hit in the sale price if your home isn’t appealing to buyers.” So don’t lose out: Get what you ask for by showing buyers a home that’s refreshed, refurbished and move-in ready.